Wise Premier Pontoon 25" Radius Corner Section Seat. 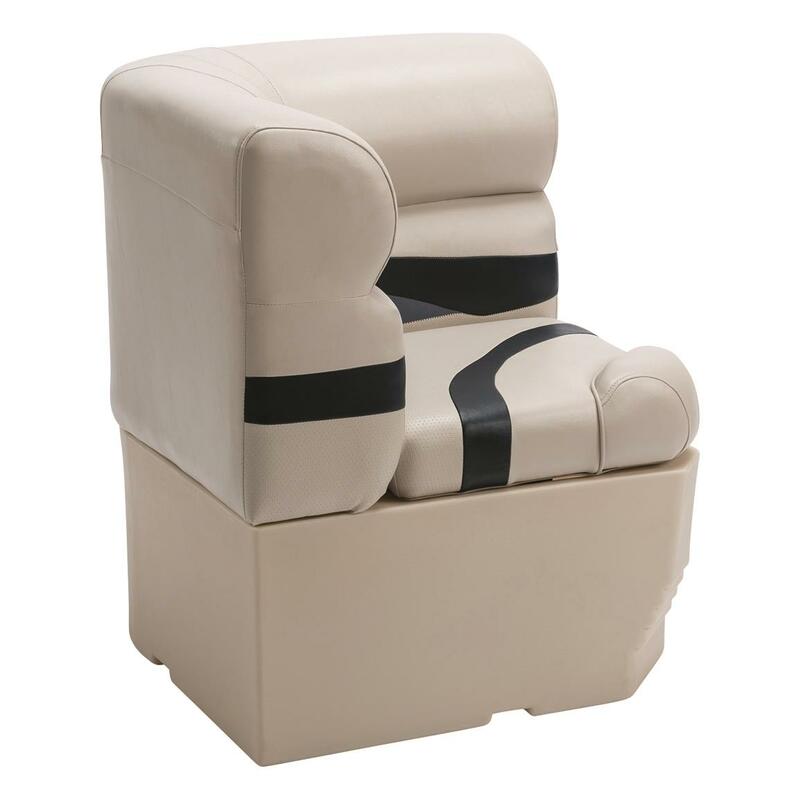 Premium-quality, custom seating to restore the look and comfort of your pontoon! Modern color and style, premium materials, and handcrafted quality combine to make this the ultimate seating upgrade for your pontoon! Soft and very supple 28-oz. UV and mildew-treated marine-grade vinyl makes your day on the water enjoyable and relaxing. Don't settle for rigid and unforgiving vinyl... this is OEM quality at its finest! 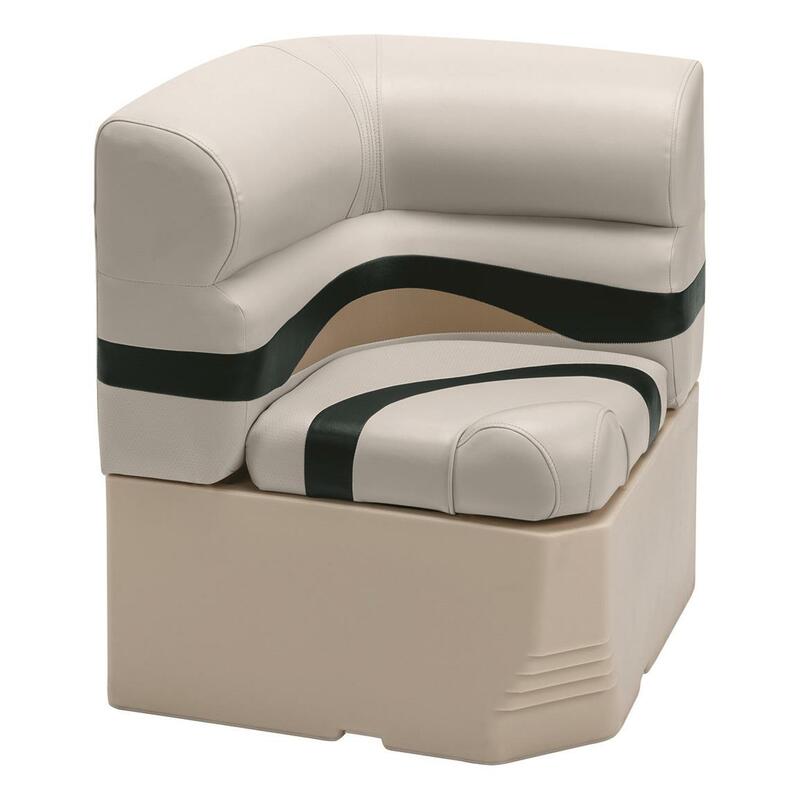 Sewn with UV-treated polyester thread and handcrafted by the same seat technicians that numerous leading boat builders have trusted for years. The heart of any seat is the foam, and Premier Series Seating from Wise uses only the best. Premier Seating uses only marine-grade virgin foam at 1.5 density to bounce back season after season with just the right amount of firmness and comfort. High-density roto-molded plastic bases with attractive stair-step design gives your pontoon a fresh-from-the-factory look along with more foot space while seated. Plenty of underseat storage along with pre-cut drain holes and drain channels to reduce water retention on deck. Heavy-duty extra-long piano hinges are secured with 3 screws on top and bottom for unmatched stability and strength. Overall size: 30"h. x 25"l. x 32"d.
Base footprint: 24 3/4"l. x 35 1/2"w.
State Color, as available in the Shopping Cart. Please Note: Does not come with corner cup holder as pictured. Sorry, no choice. Turn every ride on your pontoon into a pleasure cruise. Get set for more comfortable fishing.